A federal judge in Washington, D.C., sentenced Richard Pinedo on Wednesday to six months in prison followed by six months in home detention for his role in Russian meddling in the 2016 election. Pinedo, whose website sold Americans' bank information online, pleaded guilty in February to one count of identity fraud. Although he is not as well known as other individuals charged by special counsel Robert Mueller, Pinedo is the third person to be sentenced in connection to the investigation. After his initial sentence, he will serve two years of supervised release. Judge Dabney Friedrich decided not to impose a fine because he determined Pinedo would not be able to pay it. He will undergo location monitoring for six months and computer monitoring, which will be determined by the probation office. Pinedo will voluntarily surrender to the Bureau of Prisons back home in the central district of California. Richard Pinedo is sentenced on October 10, 2018 to six months in prison followed by six months in home detention for his role in Russian meddling in the 2016 election. Pinedo, who was caught selling Americans' bank information online, pleaded guilty in February to one count of identity fraud William J. Hennessy Jr. 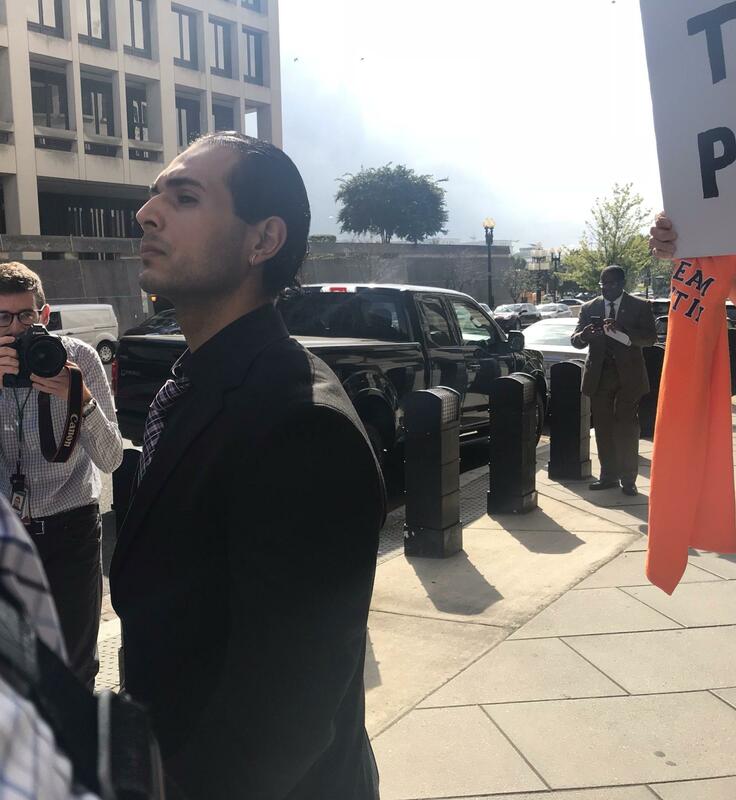 This is the first time the public has seen Pinedo in court, since his plea hearing on Feb. 12 was sealed and announced four days later on Feb. 16, the same day the special counsel announced the indictment of 13 Russian nationals and three Russian entities. Starting in 2014, Pinedo, a 28-year-old California native, created the company "Auction Essistance." On the website he sold the bank account and deposit information of unknowing Americans to circumvent the verification protocols of the online service PayPal. There is no evidence that Pinedo bought Social Security numbers himself — he acted as a "middle-man." Along the way, Pinedo ended up selling some of that information to Russian nationals. Those individuals were named in a February 2018 indictment by the special counsel for meddling in the 2016 presidential election. From 2014 through December 2017, the government believes that Pinedo sold information from close to 200 bank accounts. Among those approximately 200 accounts, the government found 12 Social Security numbers of Americans, but it has been unable to prove that more than 10 of them were victims of identity fraud. Because the government was unable to determine the amount of financial loss to victims, it based its recommended punishment on Pinedo's financial gains from the scheme. The government says that over the three-and-a-half year period, Pinedo earned somewhere between $40,000 and $95,000; however, Pinedo's lawyer Jeremy Lessem told the judge that figure was closer to the low end of that scale. Pinedo's cooperation and testimony before the grand jury in D.C. assisted the special counsel's office in its investigation into Russian meddling in the election. However, out of the 16 defendants in that case, which include Yevgeny Prigozhin, the businessman known as "Putin's Chef," only one, Concord Management and Consulting, has sought legal counsel and entered a plea of not guilty. Lessem thought that Pinedo's early and full cooperation might have resulted in a sentence below the guidelines, given his cooperation with the government and was disappointed in the sentence. Pinedo's lawyers hoped his cooperation would get "a little more consideration than it did." Although prosecutor Rush Atkinson tried to convince Judge Friedrich that Pinedo thought his clients were using his services in a "innocent" way, she was unmoved, saying, "I don't find that credible." She was stern throughout the hearing, acknowledging that although Pinedo in this case is prejudiced for his connection to the Russian investigation, he still ran a business that used the stolen information of American citizens for profit. Defense lawyers argued that Pinedo should serve a "non-custodial sentence," which would mean no jail time. They told the court that Pinedo has suffered from anxiety and fears for his safety since the news of the indictment became public. His father Richard Pinedo Sr. wrote a letter to Judge Friedrich before sentencing, asking her to keep his son out of jail. Referring to his son as Ricky, he described a young man who doesn't drink or do drugs, and made a big mistake, but said this was his first time in trouble with law enforcement. "This incident took everyone by surprise since he is the last person any of us thought would ever get into any kind of legal trouble," he said. "I truly believe that Ricky has already been punished enough." Alex Van Der Zwaan received 30 days in prison for his role in the Russia investigation, and George Papadopoulos was sentenced to 14 days. Other defendants in Mueller's investigation like Michael Flynn, Richard Gates and Paul Manafort, have all yet to be sentenced. Flynn's hearing is scheduled for Dec. 18.